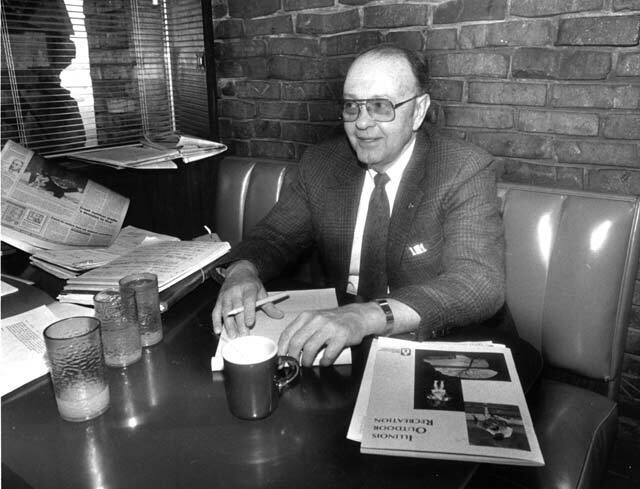 When Webbs Norman took over as executive director of the Rockford Park District in 1972, his plan was fairly simple – to gain some experience for a few years before moving on to another opportunity. But a funny thing happened along the way: He fell in love with Rockford, and the community embraced him for his passion, vision and leadership. He ended up leading the park district for the next 34 years and making Rockford his permanent home. Not bad for someone who didn’t even know recreation was an actual career choice when he headed off to college at the University of Illinois in the fall of 1952. Forty years later, Norman is still making his mark on the community. Along with co-chair Kent Mallquist, he led the fundraising campaign that raised more than $13 million to build the district’s state-of-the-art Nicholas Conservatory & Gardens. In addition, he completed his first book, Building a Lasting Dream: A History of the Rockford Park District 1909-2009, written with Rockford Register Star writer Geri Nikolai and current park district executive director Tim Dimke. The book also includes contributions from dozens of citizens, friends, past commissioners and staff members. Norman began his career with the park district in 1955, as a seasonal employee working in the summer playground program. He then went back to the U of I, where he earned a B.S. in education in 1957 and a master’s degree in parks and recreation administration in 1960. He then worked at various park districts around the state for several years. 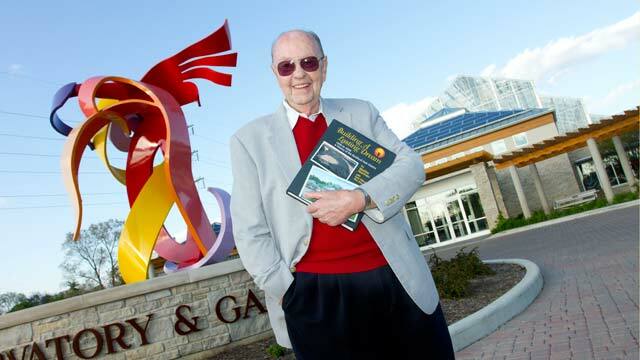 In 1972, he returned to Rockford and led the district through three decades of growth, including the acquisition of more than 1,000 acres of parks, two ice rinks, a tennis center, a path system, Sportscore One and Two, Aldeen Golf Club, Magic Waters Waterpark, an award-winning system of museums and more than 100 playgrounds. The district gained a reputation for being one of the best in the nation, as judged by the citizens it serves. Norman spent his formative years on a small farm near Morrison, Ill., where he lived with his parents, David and Beulah, and three older brothers. His two first-grade teachers impacted him greatly. But Norman’s childhood wasn’t always rosy. His father was raised in Alabama and spent his early days working in the cotton fields rather than attending school. He couldn’t read or write – not even his name. “I would accompany him to job interviews and help sign paperwork,” Norman recalls. To fill the void created by his father’s absence, Norman turned to male role models in his life – teachers, ministers, coaches – for guidance and friendship. “I have a personal Hall of Fame of 180-plus people who have helped me through my life, people from Morrison and many who live in Rockford today,” he says. The same year that his father died, Norman borrowed $250 from a friend and started a sewer cleaning business. He jokes that his new endeavor limited his social life, but was profitable. “There wasn’t a long line of people waiting to become professional sewer cleaners,” he says. At 21, Norman found his true calling during his sophomore year at the U of I, when he watched a movie produced by the National Recreation Association called Playtown USA. It featured the city of Decatur, Ill., detailing how it established a tax-supported recreation program during the heart of the Great Depression. The movie illustrated the significant impact that recreation made on the community of Decatur – and left a lasting impression on young Norman. Even after decades of association with the Rockford Park District, Norman says he gained a better understanding of both the park district’s culture and the role recreation plays in society, while researching the book. He learned how golf became so popular, thanks to the work of non-golfer Fred Carpenter, who realized the game’s value at Rockford Country Club, the only course in the area at the turn of the century. Carpenter, elected to the park district board in 1909, told the board that golf was so important it should be democratized and made available to all. “That’s why, in 1912, we had a golf course at Sinnissippi, just three years after the park district was established,” Norman says. Through research, Norman also learned about the volunteers, who from the very beginning made the district such a trusted entity in the community. They included people such as Levin Faust, who moved from Sweden to Rockford at age 26 and was instrumental in forming the park district; he served on the board until his death in 1936. 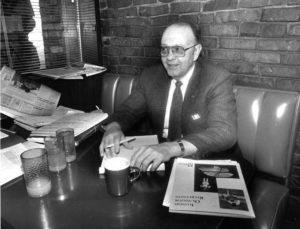 Norman always conducted business at local coffee shops and restaurants, and still does. That’s why Norman asked his successor, Tim Dimke, to write the book’s closing chapter, which focuses on the future. It was important, Norman says, to present readers with different perspectives. In preparation for the book project, Norman recruited about 40 current and former park district employees to attend a brainstorming session. The group tossed around ideas on what the book’s content should include. He enlisted the help of Nikolai, a veteran scribe for the local newspaper. Other key volunteers included Bob Kirkpatrick, Jan Herbert, Barb Bailor and Vance Barrie. The research, writing and editing of the book took nearly three years. The process was not without challenges. In 2008, just as he was starting to write, Norman’s daughter Kathy died from complications of ALS/Lou Gehrig’s disease. Then, as he was wrapping up the project earlier this year, Barb Bailor, his longtime office associate, died after a battle with cancer. The losses cut the normally tough-skinned Norman especially deep. Norman’s book has been well received by both park district employees and the general public, all of whom received personal copies, thanks to a memorial fund remembering the late Judge Harris Agnew, a longtime district commissioner and volunteer. The Rockford Area Visitors and Convention Bureau (RACVB) purchased 30 books to give to customers and VIPs as a way to share the story of Rockford and its high quality of life. “The history and future of Rockford is tied, part and parcel, with the Rockford Park District,” says John Groh, president and CEO of the RACVB. “Understanding the first 100 years of the district illuminates Rockford’s history and gives an indication of where we’re headed as a community. Our physical landscape has forever been positively impacted by the district. Those telling words now appear on a paved brick at the Nicholas Conservatory that his children donated in his honor. Even though Norman “officially” retired in 2006, he has remained committed to the park district, working almost full-time as a volunteer. In addition to raising funds for the conservatory, he’s also serving as the district’s historian. During a recent walk through the conservatory, amid majestic palm trees and dancing butterflies, Norman spoke with excitement about the facility’s potential. These days, Norman is busy with book signings and presentations. He doesn’t fancy himself an author, but he has a few more ideas that he wants to pursue, including a sequel to his first effort and another that explores issues of leadership and core values. And he has no plans to slow down. Recently, he celebrated his 79th birthday, starting with breakfast at a local coffee shop, followed by lunch with park district staff and dinner with family. To Norman, it was the ultimate day. This entry was posted on Thursday, May 24th, 2012 at 12:00 pm	and is filed under Mind & Spirit, Top Posts. You can follow any responses to this entry through the RSS 2.0 feed. Both comments and pings are currently closed.